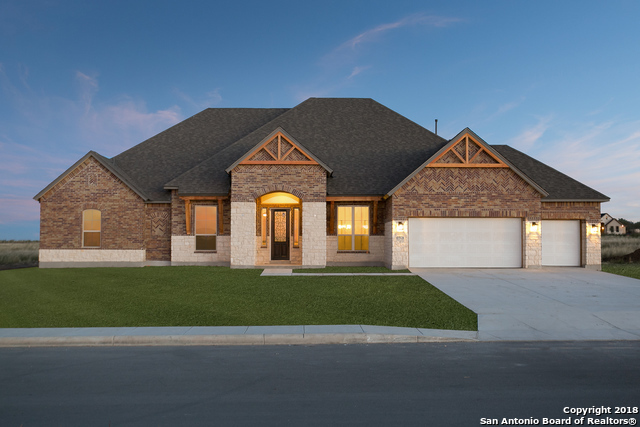 All CHANDLER CROSSING homes currently listed for sale in San Antonio as of 04/26/2019 are shown below. You can change the search criteria at any time by pressing the 'Change Search' button below. 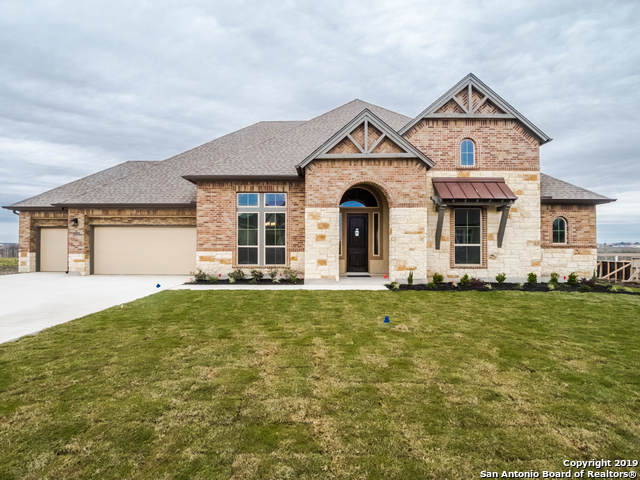 "Welcome home to this beautiful 4 bedroom + 3 bath home located in Chandler Crossing. This 1.5 story home features 10-13ft ceilings, upgraded front door, arches, a formal dining +office. The kitchen boasts 42 dark cabinets, an extensive granite island kitchen w/pendant lighting, SS Whirlpool appliances, 5 burner gas range. Open kitchen/family+gas fireplace. Bonus/Game room + powder room. Gorgeous master bathroom! Extended covered patio w/ irrigation. Randolph AFB and Forum shopping nearby!" "Gorgeous 4BR,3BTH 1.5 story home features 10-13ft ceilings, upgraded front door, tile flooring, arches, a formal dining +office. The kitchen boasts 42 cabinets, an extensive granite island kitchen w/pendant lighting, SS Whirlpool appliances, 5 burner gas range, mosaic tile backsplash, & a butlers pantry. Open kitchen/family+gas fireplace. Bonus/Game room + powder room. Upgraded fixtures. Extended covered patio w/ irrigation. Stone/stucco exterior. Randolph AFB & Forum shopping nearby!" "Beautiful 4BR/3BTH/+2.5 half BTH Stucco & Stone 1.5 story + 3 car garage home located in Chandler Crossing! The home features a study + office. A large open kitchen to the breakfast & family room area. The kitchen includes a butlers pantry, large granite island, stainless steel appliances, & recessed lighting. Huge master bedroom with a beautiful master bathroom which includes a double vanity +granite counters, a stand-up shower, and bathtub. Backyard includes a covered patio and large yard." "The Valencia plan is a 3118 Sq.Ft. 1 story home with 4 bedrooms and study and media room, 3.5 baths plus 2 car garage. Gourmet kitchen includes granite counter tops, oversize island and built in appliances. Master bedroom features luxurious master bath with large walk-in closet. Large covered patio. Oversized 1/2 acre home sites. Home available Jan/ Feb move in." "Beautiful 3BR,2 1/2 BTH brick/stucco home +gameroom sits on a half-acre lot. The home features a tech room, office w/french doors, mud room, trey ceilings, modern brushed nickel fixtures, recessed lighting, high ceilings. Kitchen includes Grey Wolf cabinets, arabesque tile backsplash, lrg granite island, pendant/recessed lighting, Whirlpool SS appliances, 5 gas burner, tile floors, butlers pantry. 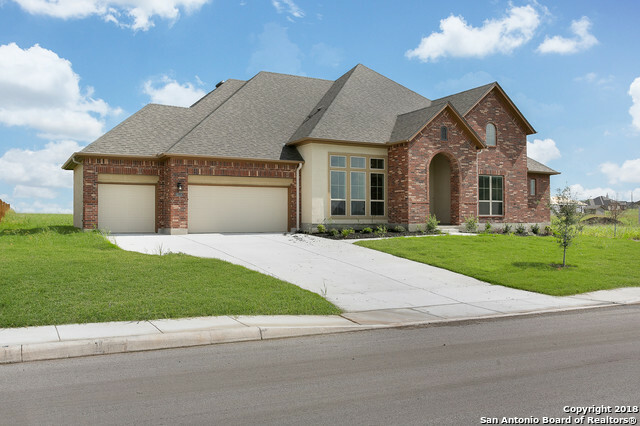 Master BR features trey ceilings & a beautiful bathroom w/6ft drop in tub + granite surround & 8-fo"
"Beautiful 4BR/3BTH 1 story home in Chandler Crossing is move-in ready! The home features a grand entrance w/ a formal dining+office. The kitchen boasts 42 cappuccino cabinets+SS hardware. Ample island granite counter top w/pendant lighting, SS Whirlpool Appliances, Glass mosaic backsplash, 5 burner gas range. 20x20 tile floors. Modern finishes. 3car garage. Exterior features brick/stone & cedar accents+ rain gutters & irrigation. Covered backyard patio. The home is minutes away from Randolph AFB"
"Gorgeous 3BR, 2 1/2 BTH HM sits on a half-acre lot w/easy access to Hwy 1604/I35. 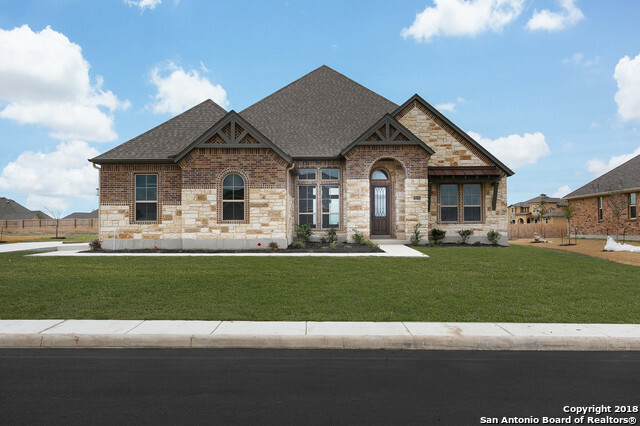 Exterior features stone+brick & wooden beams, 3 car side entry garage, large backyard covered patio. 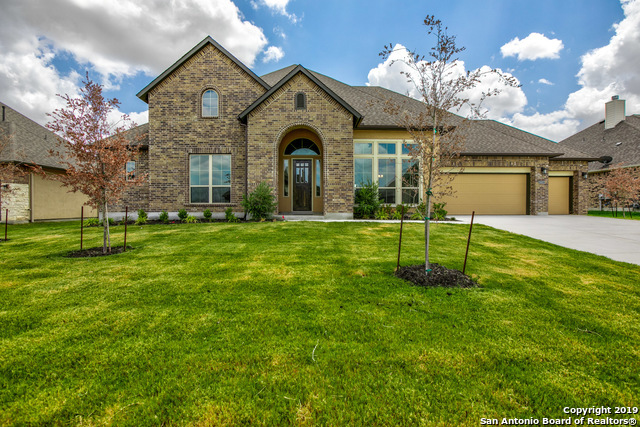 Open concept, formal dining+office, large laundry room, arches & niches, +trey ceilings. Dark kitchen expresso cabinets +stainless hardware, pendant/recessed lighting, large granite island w/mosaic tile backsplash, SS appliances w/5 gas burner. Double vanities, 6 ft drop in tub w/granite surround + extended mud set "